Increasing your credit score is a popular topic that millions of people offer their advice on. Summit Mortgage has been dealing with credit scores for the last 25 years, so take it from us: not all of that information is accurate. According to Experian, the average American’s credit score in 2017 was 675. That number falls under what most financial institutions would consider a “fair” or “good” score, which means lending companies generally feel that these borrowers are responsible and trustworthy enough to approve for a loan. Don’t panic if your credit score falls under the average. With a little determination and some helpful knowledge, we’ll help you take steps in the right direction that may increase your credit score by 100 points (seriously!) in just a month and a half. Ready to get started? What is a good credit score? Credit scores range from 300-850, with 850 being considered “exceptional.” The average credit score in the United States is 695, an all-time high. 650 is considered a “fair” credit score, but we recommend aiming for a score of at least 700. Why is it important to have a good credit score? Lenders can pull your credit score almost immediately. Now, even mortgage applications can be approved within a matter of hours, not days. 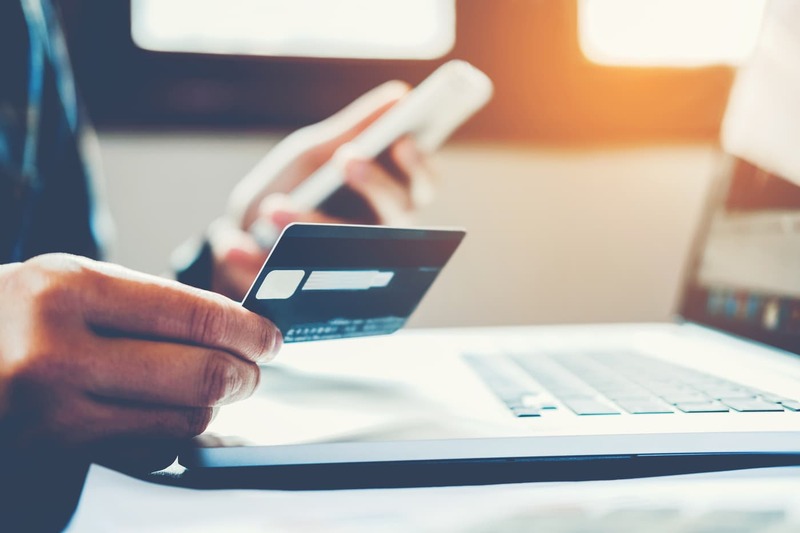 Having a solid credit score also allows retail stores, credit card companies, and other lenders to make rapid decisions when offering you a store credit card. Loan approvals are fair and unbiased. Your credit score does not reveal personal factors that could lead to bias like race, gender, or religion. Lenders can only focus on your credit risk, which eliminates inconsistencies and prejudice. Credit “deal breakers” aren’t much of an issue. Past poor credit performance won’t haunt you forever. Once you take steps to improve your credit score, such as recent good payment patterns, your past credit problems start to fade into the distance. Your credit score shows lenders both your credit positives and negatives in your report, so your whole credit story is being told. Because credit scores give lenders more precise information, they can approve more loans. The use of credit scores gives lenders confidence to offer credit to more people, since they can better understand the level of risk they’re taking on. Having a higher credit score generally means you’ll receive lower interest rates. Lenders see that you’re a desirable, trustworthy candidate for a loan and they can offer you better rates as an incentive. * Current debt owed (30%). * Length of credit history (15%). * Type of credit in use (10%). 1. Annual Credit Report Service. 3. Individual credit reporting agencies like Equifax, Experian, and TransUnion. 5. Your credit card companies. Your credit score will never benefit from having past dues. If you have any accounts that have past due payments, make sure you prioritize paying these back to the creditor. * If this is the case, you can write what’s referred to as a “goodwill letter” to explain to your creditor why your payment was late. You may be able to resolve the situation, especially if it’s your first missed payment. However, there is no guarantee that your creditor will update your account. Being friendly and honest is a must in this scenario, and it will very likely increase your chances of getting your late payments removed. If at first the creditor refuses, don’t give up. You can always call again later and try your luck with another representative. Credit utilization is the ratio of the balance you have on your credit card compared to your credit limit. This factor also plays a key role in your credit score. Balances over 70% of your total credit limit on any card damage your score the most. The general rule of thumb is to shoot for a credit utilization of 30% or less. 1. Reduce the balances on your credit cards. 2. Raise the credit limit on your cards. Keep reading to find out how to raise your credit limit. Closing a credit card can hurt your score for a couple of reasons: debt-to-credit ratio and credit history. Your debt-to-credit ratio is a major factor in determining your credit score. Having a high amount of debt compared to your total available credit will lower your credit score. If you close a credit card while you still have debt, you automatically increase your debt-to-credit percentage. For example, if you have $1000 in debt and a $10,000 credit limit, your debt-to-credit ratio is only 10%. However, if you cancel a credit card that offers a $5000 credit limit, you now have $1000 worth of debt to a $5000 limit, and you jump up to a 20% debt-to-credit ratio. Not ideal. Credit history is another important factor and 15% of your credit score is determined by the length of your credit history, and closing cards will decrease the average length of time you’ve had credit Even if the cards have no rewards benefits or high-interest rates, use them at least once every six months to avoid their status changing to “inactive”. This purchase can be as small as buying lunch but you’ll reap the credit rewards. This tip goes hand-in-hand with the previous one. You can reach out to your creditors every six months and request a credit limit increase. If you have a solid history of making your payments on time, this shouldn’t be a problem. Once approved for a higher credit limit, you’ll automatically lower your debt-to-credit ratio and credit utilization – talk about two birds, one stone! These five simple tips are designed to help you quickly improve your credit score. By holding onto those old cards, avoiding late payments, and improving your debt-to-credit ratio, you’ll be well on your way to having a credit score that makes you feel proud and gives lenders the confidence to approve your loan.